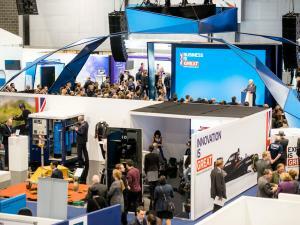 More than 26,000 delegates to the International Festival for Business (IFB2016) Exhibition Centre Liverpool welcomed, including a visit from Her Majesty the Queen. Held throughout June at the waterfront venue, the three-week festival was delivered in partnership with UK Trade & Investment, the Great Britain Campaign and with the support of the UK Government, featuring around 80 different events. “Among the highlights of the festival was the official opening of Exhibition Centre Liverpool and Pullman Liverpool by Her Majesty the Queen and His Royal Highness the Duke of Edinburgh. High profile business leaders including Sir Terry Leahy and Sir Martin Sorrell gave keynote speeches and political leaders who attended included George Osborne, Michael Heseltine and F W de Clerk.